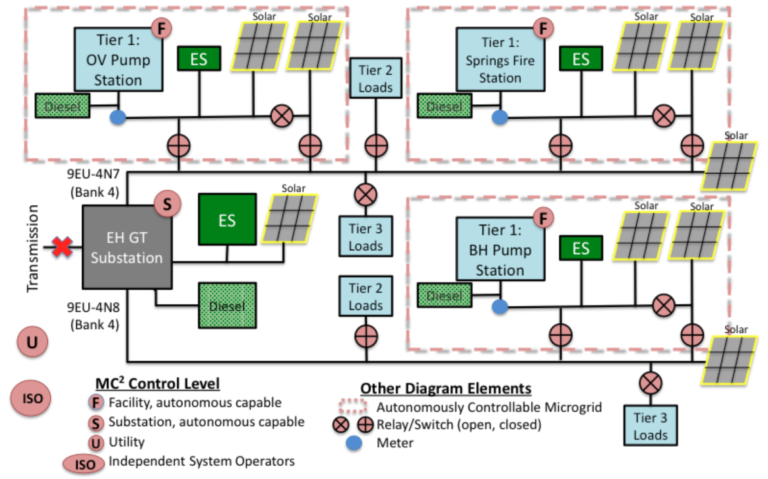 Can Community Microgrids powered by solar+storage replace gas peaker plants? Recent analyses show that the answer is yes. What’s more, solar+storage facilities can be deployed more quickly than gas plants, at a significantly lower price. Community Microgrids are technically and economically superior to new gas plants. Community Microgrids also provide other advantages, delivering an unparalleled trifecta of economic, environmental, and resilience benefits. 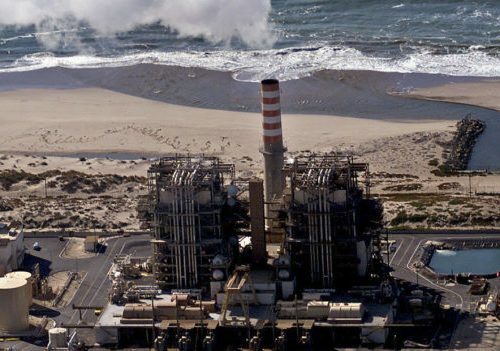 In 2017, the Clean Coalition released a study showing that solar+storage would be cheaper than two proposed gas plant projects in California: the Puente Power Project and the Ellwood Peaker Plant. The projects are both part of the Moorpark Subarea, which includes the cities of Oxnard, Santa Barbara, and Goleta. The Clean Coalition’s models of realistic alternatives to the Puente and Ellwood plants show that a Community Microgrid powered by solar+storage could be installed for $267 million, compared to $299 million for the Puente proposal. Without even accounting for operations, maintenance, and fuel — which would increase gas plant project costs dramatically — a Community Microgrid powered by solar+storage could replace both Puente and Ellwood for approximately $406 million. With a well-designed feed-in tariff (FIT), solar+storage solutions can be deployed more quickly than gas peaker plants. The Clean Coalition has designed a game-changing FIT that includes Market Responsive Pricing to ensure the best value for ratepayers, along with a Dispatchability Adder to incentivize energy storage. This innovative FIT can procure and deploy cost-effective renewables and energy storage much more quickly than auction processes, which are burdened by excessive preparation requirements, transaction costs, and failure rates. A FIT approach is far faster than building a gas plant. 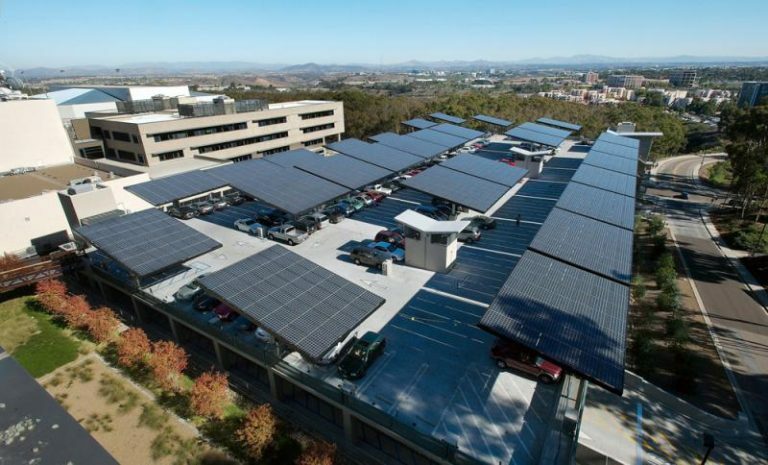 Sacramento Municipal Utility District (SMUD) has already shown this can be done with its FIT launched in 2010 to develop 100 MW of distributed solar. Within two years, over 98% of the 100 MW of FIT program capacity was successfully constructed and online. Cost-effective solar+storage solutions are already in place. Tesla’s 17 MW solar + 52 MWh storage facility on Kauai stores solar energy during the day to use at night, making solar dispatchable when it is needed rather than only when the sun is shining. AES’ 28-MW solar + 100 MWh storage facility, also on Kauai, will provide 11% of the island’s electricity needs, at a game-changing 11 cents per kWh for dispatchable solar. The Clean Coalition is working on a number of Community Microgrid projects powered by solar+storage, including an initiative to provide resilience to an area of Santa Barbara County, California that experienced a devastating wildfire and debris flow.